The F.C. 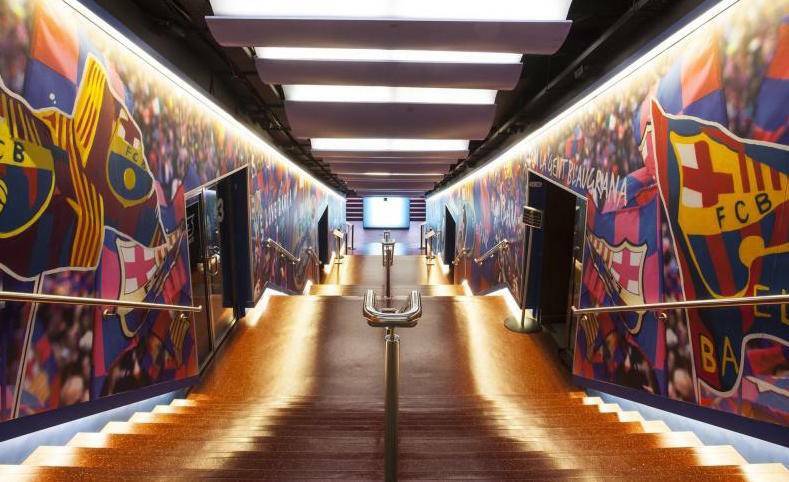 Barcelona history is showed to its visitors in a unique place that will delight any football lover. The trophies appear shiny in glass cabinets. The 23 Liga and the 5 Champions League trophies are shown majestically in the museum. Any football fan’s dream comes true as they jump to the Camp Nou pitch and enjoy a panoramic view of the stadium. Bilingual guide specialized in soccer. Transfer from Julià Travel office to F.C.B. Museum coach (one way only). Entrance and guided visit to F.C.B Museum. Brunch-appetizer at the new area In Tour Bar, composed of two tapas and a drink to choose between cava, beer or soft drink. Transfer from F.C.B Museum to city center. 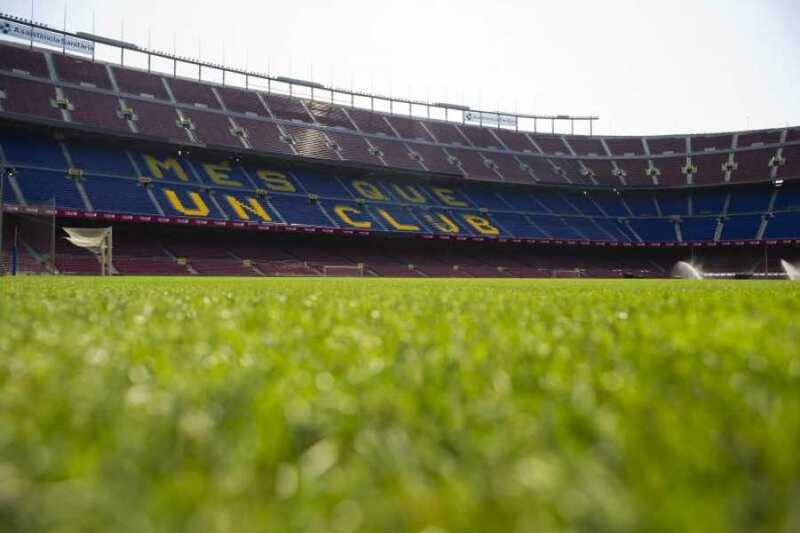 According to the schedule of matches, training sessions or special events FCB reserves the right to change the schedule, routes or close part of the museum tour. 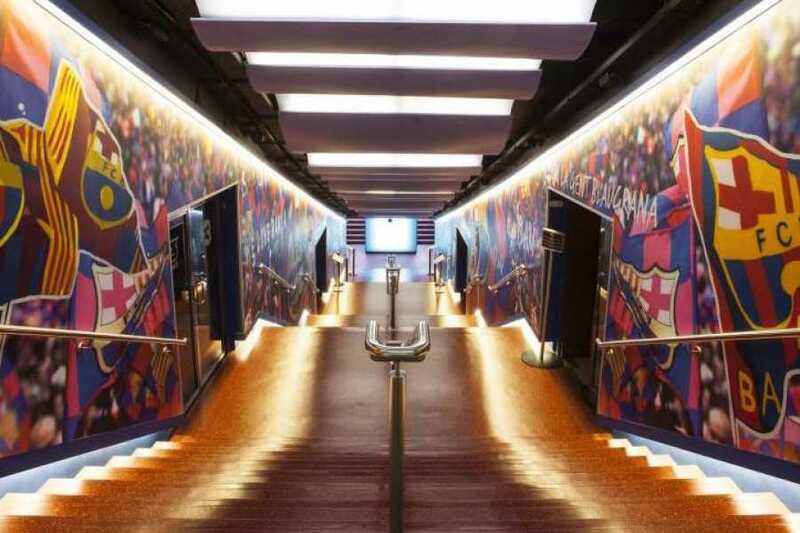 For structural reasons, and due to the large number of staircases on the tour, the Camp Nou Experience is not adapted for people with physical disabilities. Print your voucher and give it to your guide. E-voucher accepted.